Software, like hardware, can easily get quite expensive. Games, Windows keys, and even stand-alone programs often cost a lot of money. However, unlike hardware, software can be found in extreme discounts. You only need to know when and where to look. GoodOffer24 is one of those places and now is the time to check it out. Shall we? GoodOffer24 is an online shop which sells software. To be precise, mostly games and Windows 10 Keys along with MS Office keys. The first thing you’ll notice upon checking it out is that the discounts are rather crazy. Even suspicious. So, what’s up with that? Can we trust GoodOffer24? 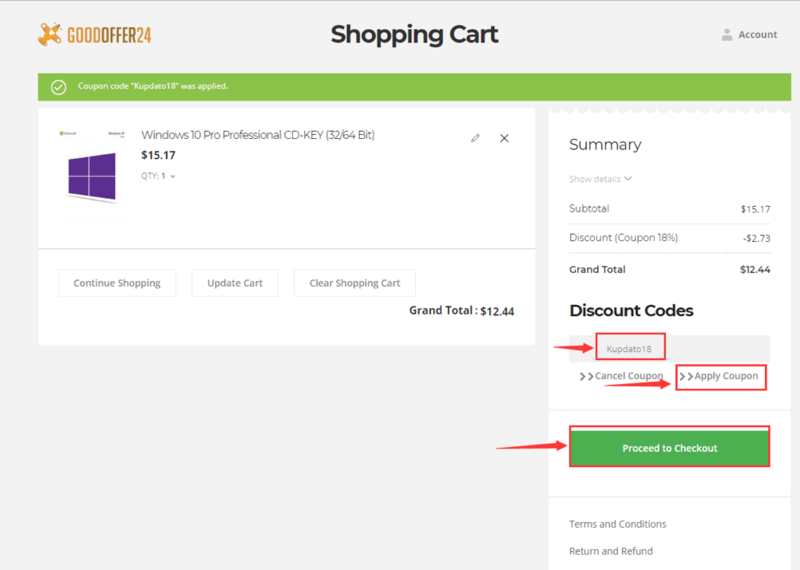 First of all, you need to understand how software is sold at such extreme discounts. You see, unlike hardware, software copies do not cost any extra money. That’s one of the reasons that games and programs get cheaper over time. Software developers use that to their advantage in order to make more money. When you see that your game doesn’t sell as well when it first came out, you can temporarily put it on a discount and people who weren’t willing to get it at full price will now buy it. In the end, the developers earn more money with those discounts. Other than that, certain pieces of software are being sold at lower prices in different countries. And let’s not forget about Microsoft selling their keys in bundles at lower prices. So, all we’re trying to say is that huge discounts in software are more common than you may think. Take the Steam Summer Sales as one example. GoodOffer24 is as safe as any other online reseller. Other popular websites like G2Aand Humble Bundleare more or less on the same boat. Not to mention that Allkeyshop has also recognized it as a safe and trusted option. Overall, we can definitely trust them. Buying software and keys from GoodOffer24 is the exact same process with any other online shop. If you’re new to the whole process, we’ll guide you through it. First of all, you need to select a key. If you are just the average PC user, a Windows 10 Pro key will be more than enough. But, if you’re planning on doing office work as well, do definitely consider getting the Windows 10 Pro + Office 2016/2019 bundle. 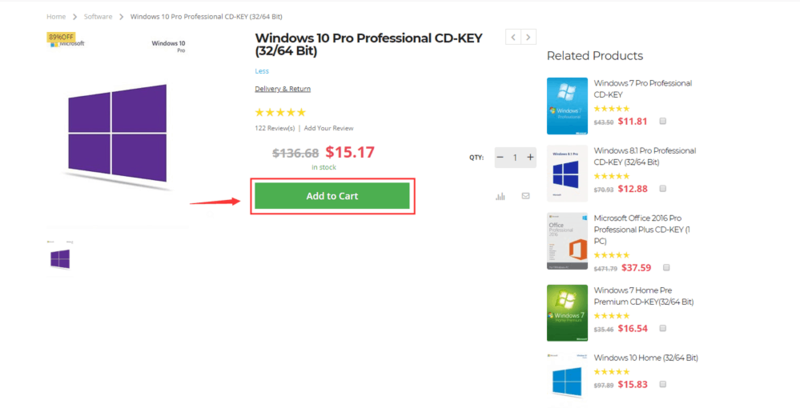 The first thing that you’ll notice after clicking on the link of your choice, is that the key is slightly more expensive than what’s displayed above. No need to worry, that’s only because you haven’t activated our coupon yet. More on that later. Now you need to select “Add to Cart”. On the next step, you need to move over to “Discount Codes” and paste our discount code: “Kupdato18” there. Then hit “Apply Coupon” and you should see the price going down by 18%. Now all you need to do is select “Proceed to Checkout” and select the payment method of your choice. PayPal is generally recommended because it’s easier, faster, and safer to use. Do keep in mind that this will only give you your Windows key. Not the Windows installation. If you don’t have Windows 10 installed, you need to move over to Microsoft’s official website, download the Windows 10 version of your choice (the one that matches your key as well), and then activate it with the key that you bought.